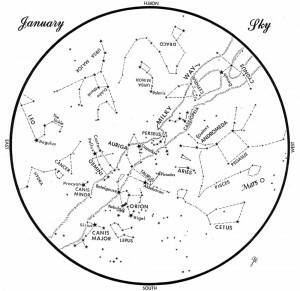 SKY GUIDE: This chart represents the sky over Maine during January. The stars are shown as they appear at 9:30 p.m. early in the month, at 8:30 p.m. at midmonth and at 7:30 p.m. at month's end. Mars is shown in its midmonth position. To use the map, hold it vertically and turn it so the direction you are facing is at the bottom. 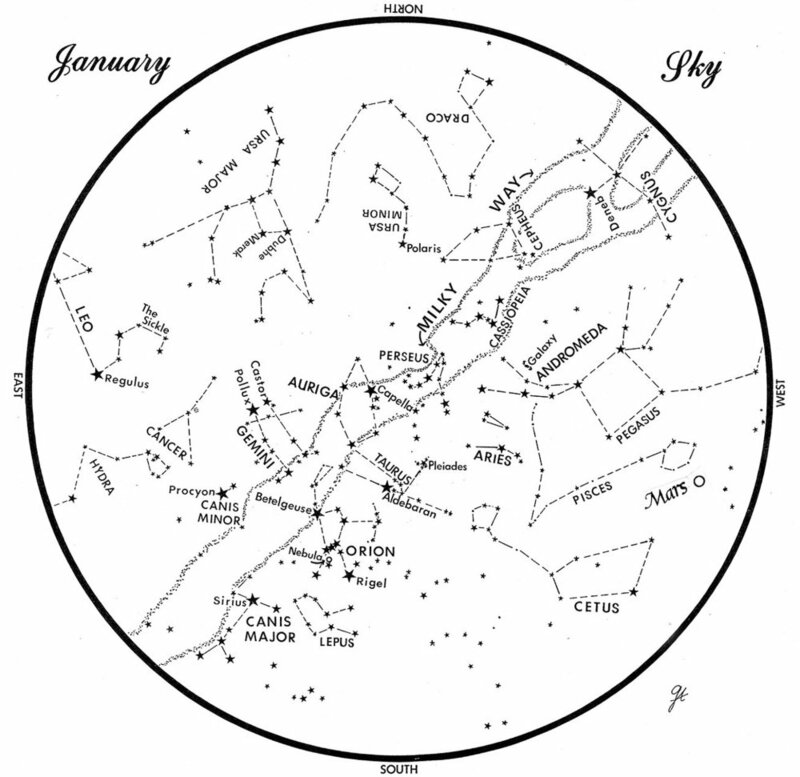 SKY GUIDE: This chart represents the sky over Maine during January. The stars are shown as they appear at 9:30 p.m. early in the month, at 8:30 p.m. at midmonth and at 7:30 p.m. at month’s end. Mars is shown in its midmonth position. To use the map, hold it vertically and turn it so the direction you are facing is at the bottom.